UniDoll will re-release two special editions. Each doll will come with an extra head that is not a sale-only head. The dolls are Selina Special Edition and Jace Dark Magician. 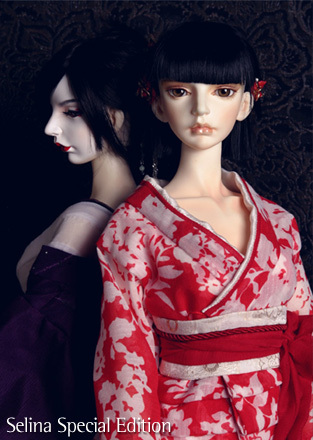 The dolls will be available for pre-order between June 12 and June 26. To check out the rest of Today’s News, go HERE. The new version of 67 cm. tall Akion,’ Another Shadow’, has been released by UniDoll. This version of Akion has pointed ears, but does not have the third eye in the forehead. The doll comes as a basic with random eyes and wig. Face-up is optional. The outfit on the doll can be purchased separately. This version of Akion does not replace the original version. The originial Akion will still be available on the website for order. UniDoll has released UniReal girl, Selena 2nd Edition. The 62 cm. doll is sold as a basic with a random set of glass eyes and random wig. Options for Selena include a large breast piece, heel feet, face-up, top and jeans. The new pictures of UniDoll‘s first doll of their new pet line has been posted on Den of Angels. The new pet is an otter. More information should be released by Unidoll soon. Anthony is the latest doll from UniDoll. The 67 cm. doll is sold as a basic doll with optional face-up and clothing . He will be shipped with a random choice of eyes and wig. The new UniDoll, UniReal Kaito is now available on the company website. The doll’s head was sculpted by a new doll artist named Serang. The 60 cm. boy is available as a basic with random wig and glass eyes. Face-up and clothing are optional. The rest of Today’s News is available HERE . UniDoll has released the new 67 cm. Akion doll. The doll comes with one 12 mm. and two 14 mm. glass eyes, and random wig. Outfit of trousers, and chain belt are optional. ‘Red” Face-up and piercing is also optional. Hands and wings used in the photo are not available. UniDoll has released their new 67 cm. Uni Real doll, Burkut, for sale. 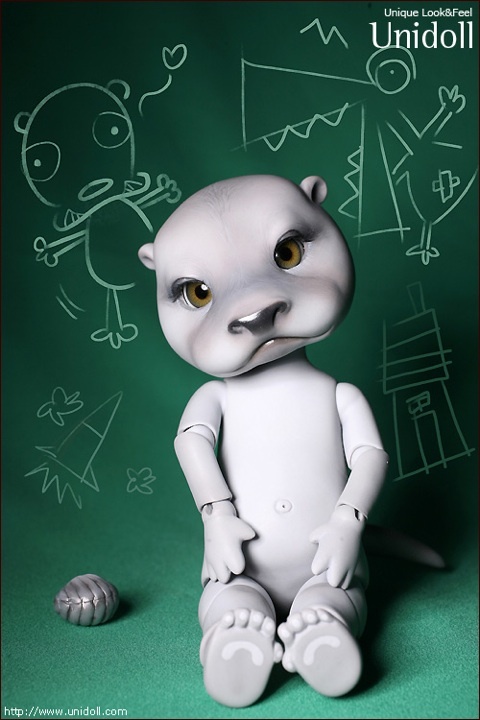 The doll can be ordered with optional ‘silver’ or ‘brown’ face-up. Burkut’s outfit can also be ordered separately and his ear can be pierced for an additional fee. UniDoll‘s new Uni Real doll has a name. Unidoll ran a contest on the doll forum Den of Angels to name him. The winning name, Burkut, is Russian for Golden Eagle. The company plans to release the doll very soon. A picture of a new UniReal boy has appeared on the UniDoll site. There is no additional information currently available.